Riding on the back of rumors of disappointing iPhone X sales, dismal supplier guidance and rampant speculation, a report on Thursday claims Apple plans to produce only a limited quantity of units in the second calendar quarter of 2018. Citing a source within Apple's supply chain, Fast Company reports the company ordered 8 million iPhone X handsets for the current quarter after expressing disappointment over slower than expected sales. For reference, Apple sold 41 million iPhones over the same period last year. The report presumes the order is not related to seasonality. Apple commonly draws down iPhone production after the holiday quarter, lowering production as the year progresses toward a refresh typically released in the fall. According to the supplier source, Apple built "too many" iPhone X units in the quarter ending in December and is now attempting to "burn off" inventory stacked up at partner resellers. Further, the company is now doubting its strategy of releasing a top-tier, $1,000 smartphone amidst a slowdown in global smartphone sales, the person said. 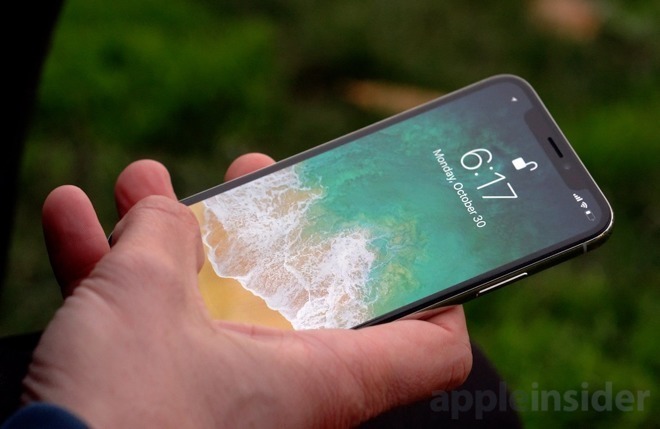 Analysts expected massive demand for iPhone X, an OLED-toting handset that represents Apple's first major iPhone redesign in four cycles. Apple reported a solid performance this past quarter with 77.3 million iPhones sold, including a good mix of high-end iPhone X units that brought collective iPhone ASPs to a record-setting $796.42. The numbers, however, missed Wall Street's mark. In an earnings conference call, CEO Tim Cook said iPhone X outsold its iPhone 8 and 8 Plus stablemates every week since it launched in November, suggesting the $1,000 flagship was indeed still popular well into the bearish post-holiday season. More recently, however, reports from the supply chain cast doubt on the pricey handset's performance. In January, before Apple's most recent earnings report was published, Nikkei claimed iPhone X production was cut in half due to sluggish sales. The publication reasserted those claims in February, saying the slowdown left Samsung saddled with excess OLED panel production capacity. Reports from key Apple suppliers appear to concur with the narrative. Austrian firm AMS, which builds components for Apple's TrueDepth camera, issued guidance this month warning of lower than expected revenue due to a reduction in orders, while A-series chip producer TSMC revised its full-year revenue target down $1 billion due in part to a declining mobile market. Most recently, Samsung on Wednesday said weak demand experienced by its panel business would negatively impact profitability. Samsung is the sole supplier of OLED panels used in Apple's iPhone X. With widely circulating rumors of lower than expected iPhone X demand, the handset will inevitably be a topic of discussion when Apple reports earnings for its second fiscal quarter of 2018 next week. CEO Tim Cook is unlikely to provide hard numbers, but he could offer color on overall performance as it pertains to other shipping models.